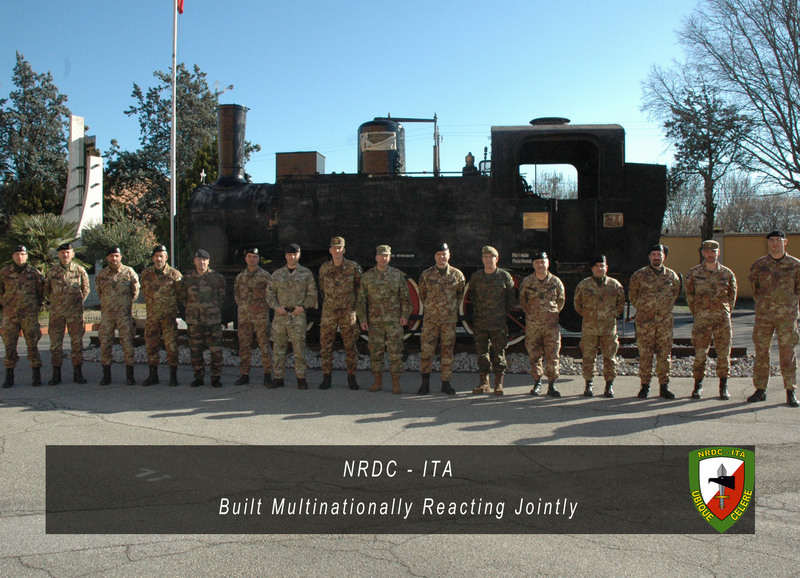 From 18 to 19 February 2016 Staff from Support Division of NRDC-ITA HQ, Logistics and Engineers, paying a visit to Engineer Railway Regiment in Castel Maggiore (BO). 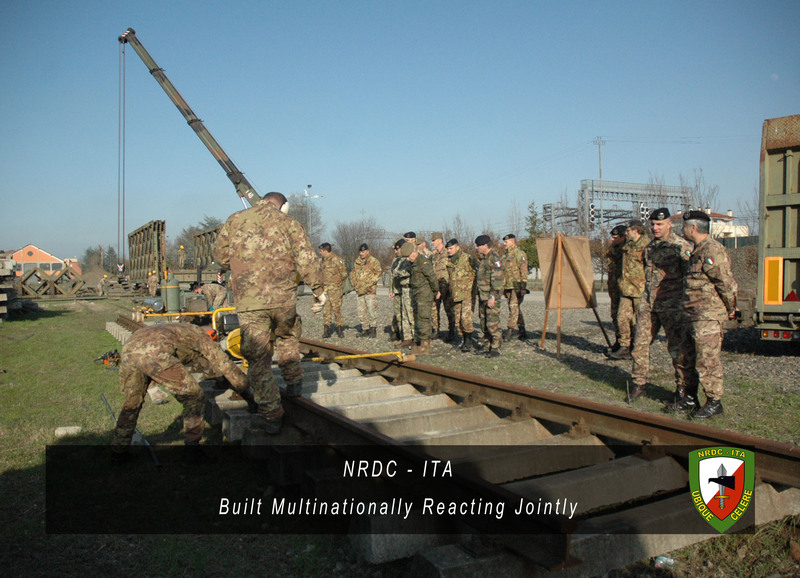 The Engineer Regiment is an affiliated unit to NRDC-ITA as per " Technical Agreement" signed with Italy. 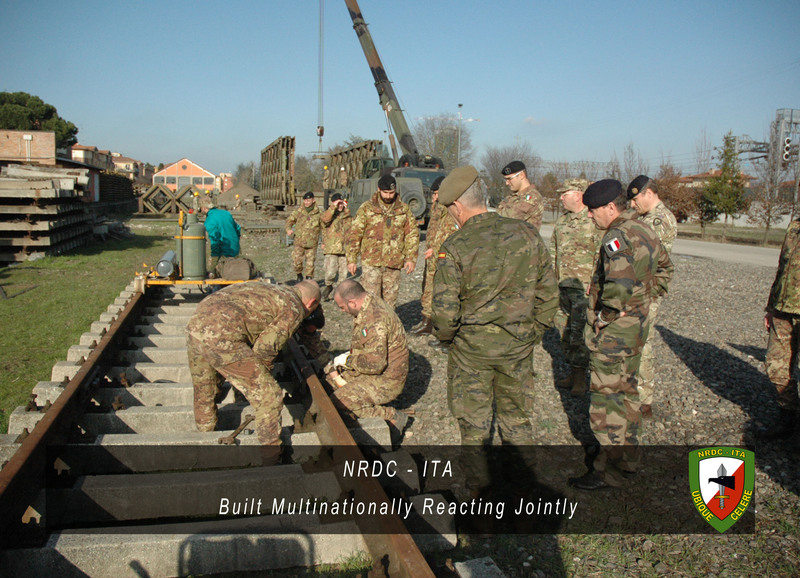 The visit was aimed both to share with the Regiment Staff the NATO procedures at operational level and to have a clear picture of the Unit's Capabilities. 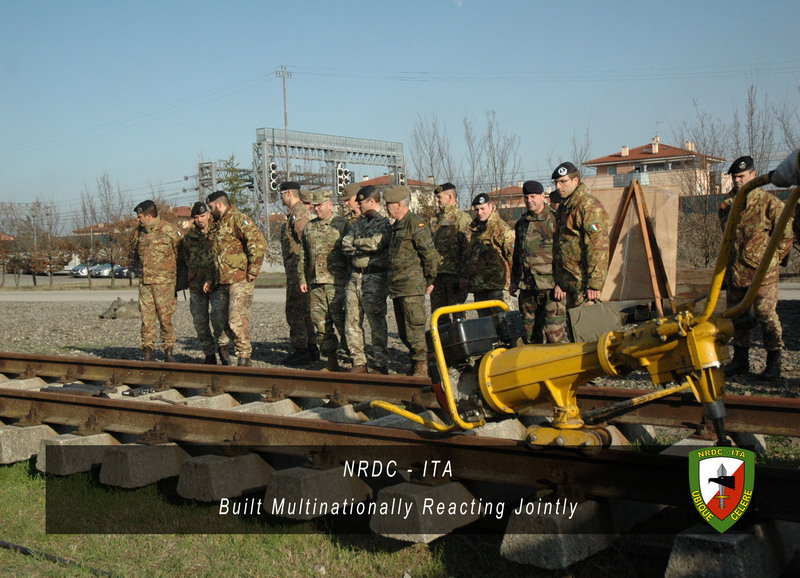 The Regiment is a very high specialized engineer unit with unique characteristics within NATO, beside the general engineer support, the Railway engineers can ensure, in a given operational theatre, both the complete management of railway movements and the railway network maintenance. 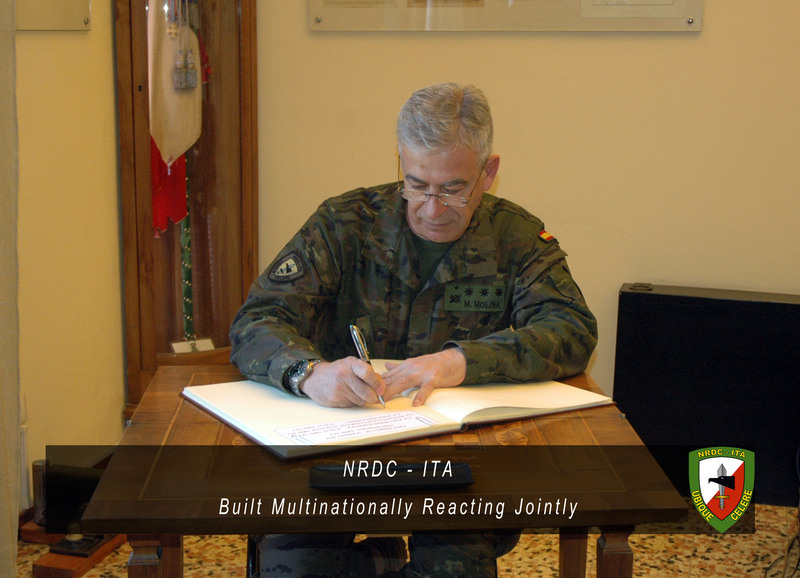 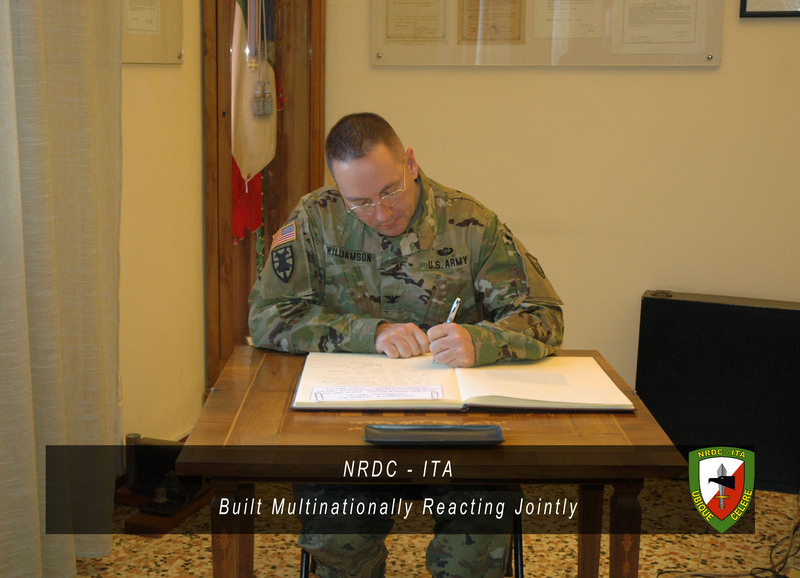 NRDC-ITA as highly capable, rapidly deployable and operationally experienced Headquarters has in its Multinational Staff experience and approaches the key to achieve the best solutions, a continuous exchange of information with the affiliated units is paramount to increase this peculiar skills.